New 2019 Ram ProMaster vans have received significant capability increases. New exterior styling, additional technology and a boost to both payload and towing capacity make the new ProMaster and ProMaster City more capable than ever before. New Ram ProMaster and ProMaster City vans now have redesigned front fascias with an integrated “RAM” grille carried over from the truck line. 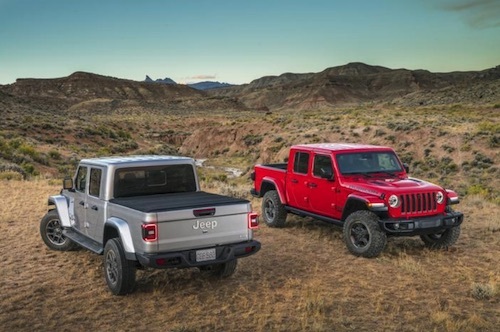 New black bumpers, side panels and optional black steel wheels are all new for 2019 models. 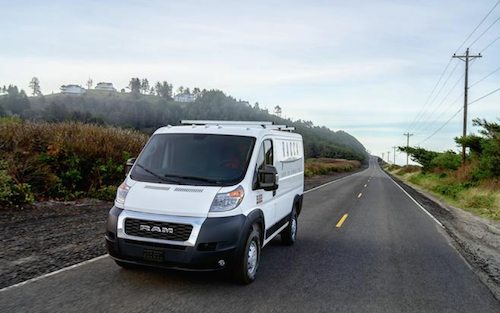 Optional exterior features for new Ram ProMaster models include Polycarbonate side rear windows (high-roof models) and side rear windows with steel grates (low-roof models). Fleet-friendly technology including RAM Telematics, powered by Verizon Connect, provides vehicle tracking and driver behavior data to help save money on fuel and promote save driving. The new system also offers real-time vehicle diagnostics and performance data. New upfitter-friendly technology for ProMaster vans includes a Vehicle System Interface Module (VSIM) with 13 inputs and 41 outputs. This feature allows for quick and reliable connections to vehicle systems. The ProMaster payload capacity has been increased to as much as 240 lbs. for a maximum of 4,680 lbs – the highest payload of any Class 2 cargo van on the market today. New ProMaster models have gained a 30 percent increase in towing capacity for a maximum of 6,800 pounds. A new trailer-tow group is also available to add a Class IV receiver hitch. Ram commercial vehicles are some of the most popular on the road today. If you are interested in learning more about the ProMaster lineup of commercial and fleet vehicles please contact our Ram Dealership in Las Vegas, NV. We are happy to answer your questions and explain specific features available now.